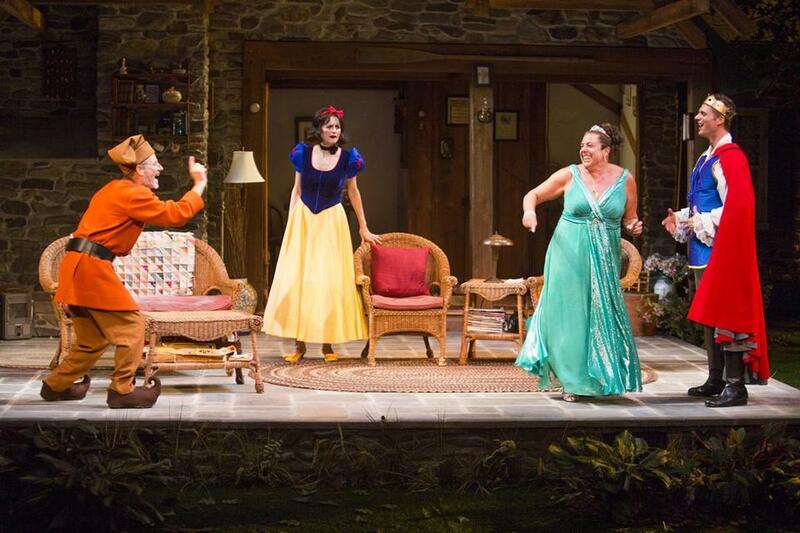 Well the Missus and I trundled down to the Huntington Theatre last night to catch its new production of Vanya and Sonia and Masha and Spike and, say, it was swell . . . to some degree. In this wickedly wonderful Chekhovian mashup from master of comedy Christopher Durang (Betty’s Summer Vacation), Vanya and Sonia’s quiet, bucolic life is hilariously upended when their glamorous movie star sister arrives for the weekend with her brawny boy toy in tow. A Tony Award-winning Broadway sensation, this rollicking and touching new comedy pays loving homage to Chekhov’s classic themes of loss and longing. Anyway, here’s Huntington artistic director Peter DuBois talking about the production, which is directed by Jessica Stone as sort of a tribute to the late Nicholas Martin, the former Huntington artistic director who originally produced the play on Broadway. An interpretive performance of Anton Chekhov’s “Uncle Vanya,” the 1994 film “Vanya on 42nd St.” is a tribute to the Russian writer’s work, as well as the creative process itself. The special screening of the Louis Malle-directed film — which stars Wallace Shawn and Julianne Moore — is followed by a conversation with guests from the Huntington Theatre Company’s production of the Tony Award-winning play “Vanya and Sonia and Masha and Spike” (above), who will discuss the different approaches to Chekhov’s classic themes of loss and longing. Jan. 5 at 7 p.m. Tickets: $10.25 adults; $8.25 seniors and children. We just thought you might want to know. This entry was posted in Uncategorized and tagged Allison Layman, Candy Buckley, Christopher Durang, Haneefa Wood, Huntington Theater, Jessica Stone, Julianne Moore, Marcia DeBonis, Martin Moran, Nicholas Martin, Peter DuBois, Tyler Lansing Weaks, Uncle Vanya, Vanya and Sonia and Masha and Spike, Vanya on 42nd St., Wallace Shawn. Bookmark the permalink. Sounds like an actor’s nightmare. They seemed to have fun.